The aftermath of Hurricane Irma continues to impact cruise ship itineraries and Carnival Cruise Line is replacing Hurricane hit destinations on some upcoming sailings. 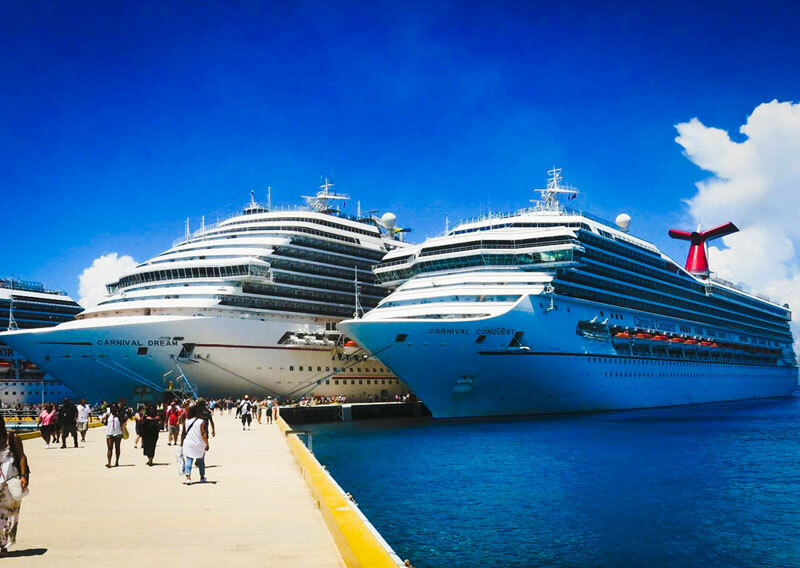 Carnival Cruise Line has released further itinerary adjustments due to heavily damaged and devastated ports of call in the Eastern Caribbean due to Hurricane Irma. Irma was a powerful storm which reached a category 5 and hit popular cruise destinations of St. Maarten, St. Thomas, Grand Turk, Key West and more. Even though most sailings are now departing as normal the cruise line has changed some calls so that guests can still enjoy time in port and stay safe. Departing Charleston on a 5-day cruise to Nassau and Freeport. Departing Miami on a 4-day cruise to Cozumel. Departing Port Everglades on a 7-day cruise to Cozumel, Belize, Mahogany Bay and Grand Cayman. Departing Miami on an 8 day cruise to La Romana, D.R., Aruba and Curacao. Departing Port Everglades on a 6 day cruise to Ocho Rios, Grand Cayman and Cozumel. Departing Port Canaveral on a 6 day cruise to Cozumel, Belize and Costa Maya. Departing Baltimore on a 7-day cruise to Half Moon Cay, Nassau and Freeport. Departing Tampa on a 5-day cruise for an overnight stay in Havana. Departing Miami on a 7-day cruise to Half Moon Cay, Montego Bay, Grand Cayman and Cozumel. Departing Miami on a 5-day cruise to Nassau, Half Moon Cay and Freeport. Departing Port Everglades on an 8-day cruise to Princess Cays, Ocho Rios, Grand Cayman and Cozumel. Departing Baltimore on a 7-day cruise to Nassau, Half Moon Cay and Freeport. Pre-purchased Carnival Adventures for cancelled ports, as well as any taxes, fees and port expenses will be refunded to your onboard Sail & Sign account. An email with detailed itinerary information will be sent to all guests scheduled to sail on these cruises. We sincerely apologize for the disruption the recent storms have caused and look forward to welcoming our guests on board. At this time, all other future cruises will depart as scheduled. Further cruise ship itinerary adjustments may occur from other cruise lines too. It is expected to take a while for several popular cruise ports to open for regular cruise business.